Luxli Viola: a 5″ on-camera RGB LED light that you can control from the Luxli Conductor app on your iOS device. It has a 3000-10000k color temperature. You have the option to link multiple Viola units. 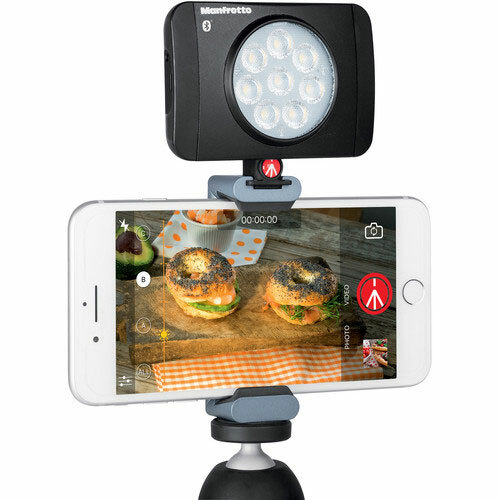 Manfrotto Lumimuse 8 On-Camera LED Light: great for still shots and video. 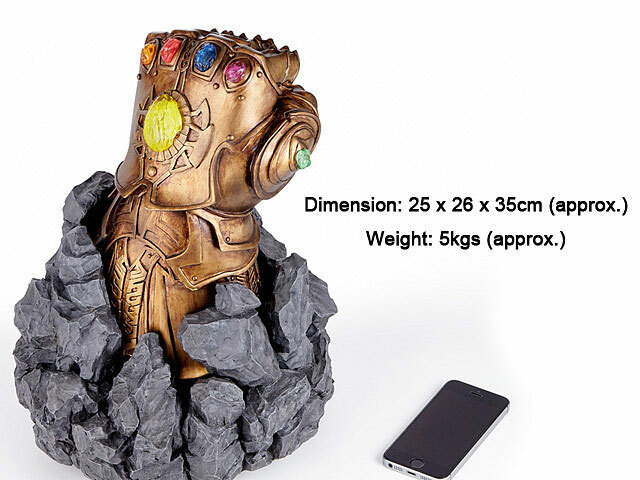 Its interchangeable battery will run for about 60 minutes. The companion app lets you change the brightness from 100% to 0. 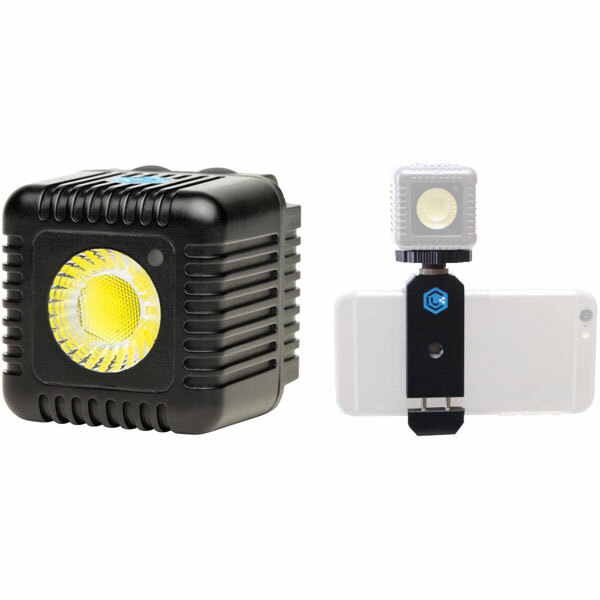 Lume Cube: has a color temperature of 6000k, water resistant body, and battery life of over 2.5 hours. It provides constant and flash light capability. You can control up to 5 of these via Bluetooth. 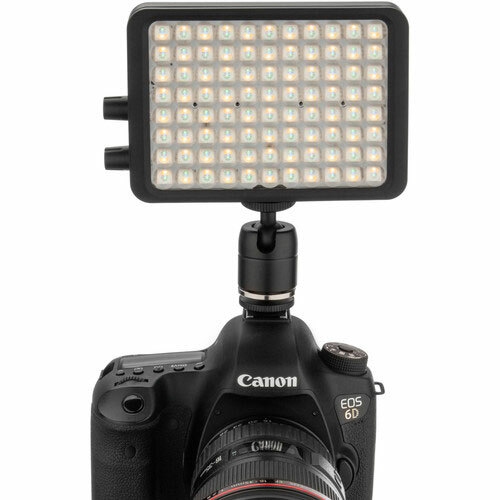 Have you found better compact smartphone compatible lights for video? Please share them here.